This Realacc racing drone backpack is specially designed for FPV enthusiasts. It can store up to 3 FPV drones, remote controller, FPV goggles and other small accessories. The main section is accessed via the rear zipped flap. Which is nice, because the back of the bag will not get dirty when you place it on the ground in order to remove stuff. 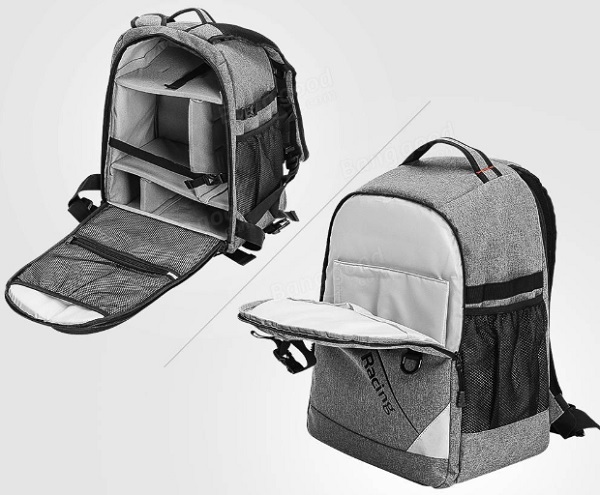 In addition, behind the front flap there is enough room for a smaller laptop or tablet. The interior space is split by four Velcro tape dividers, so it can be easily reconfigured according to your needs. Smaller FPV quads can be loaded even with propellers attached. The transmitter can be additionally protected by the included pouch. There is room for couple of batteries as well. Personally, I not just throw my LIPOs in the backpack, I always use dedicated fireproof bags. Both sides have external meshed pockets that can fit a water bottle or a small tripod (for FPV display or action camera). The back padding has an airflow channel with breathable mesh liner to minimize contact with your back. You can also opt to hang drones outside to the front flap. 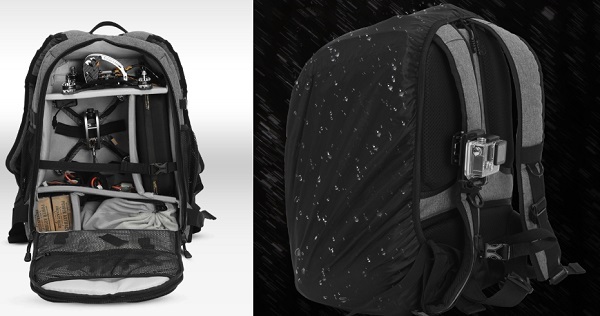 If you get caught by the rain, do not worry a rain cover is included with Realacc FPV drone backpack. The included tool board allows you to organize all your tools need it to maintenance your drone right on the flight field. 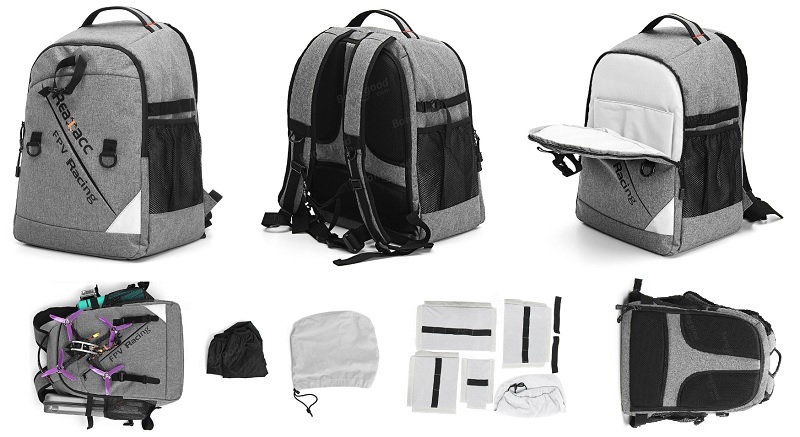 The Realacc FPV drone backpack, allows not just to comfortably carry your FPV drones to the flight field, but also to store all your FPV gears in one place.